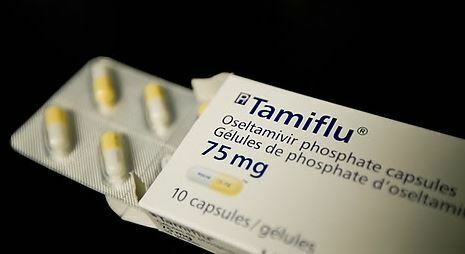 While Seoul’s plan to deliver Tamiflu to Pyongyang continues to be delayed for unclear reasons for now over a month, the Unification Ministry said Thursday it is awaiting response from North Korea. The Unification Ministry had announced in early January that it would send 200,000 doses of the antiviral drug to North Korea via a land route as humanitarian aid, initially setting the delivery date for Jan. 11. The plan was delayed, however, with speculations that international sanctions against the North made smooth delivery difficult. On the prolonged delay, the Unification Ministry spokesperson said the ministry is now waiting for a response from the North. “We are currently waiting for the North’s response (on the delivery schedule). They said they will confirm after discussing with the related organizations,” Unification Ministry spokesman Baek Tae-hyun said, adding that negotiations with the United States and United Nations have already been settled. With the peak influenza season ending, concerns have been raised that the delivery of the medical aid will not prove as effective. The plan to send the flu medication to the North was made during a meeting of the South’s special representative for Korean peace and security affairs, Lee Do-hoon, and the US special representative for North Korea, Stephen Biegun, on Dec. 21. Having obtained the US clearance early on, the Seoul ministry had said it expected to deliver the medication to the North in mid-January. While humanitarian assistance is not banned under international sanctions, related materials require sanctions waivers from the UN. North Korea reportedly sees some 200,000 flu cases annually. However, the North has not revealed its stance over humanitarian assistance or the current influenza situation there. With the second US-North Korea summit expected in the last week of February, Pyongyang may also have difficulties in dealing with other issues, experts say. With its focus on the upcoming summit, preparing for the distribution of the medication could have been pushed aside. “North Korea would not want to disperse their efforts for the summit and would likely eliminate all troubles that can possibly occur,” said Hong Sang-young, secretary-general of Sharing Movement, a Seoul-based civic organization. The medication, if delivered, would be the first consignment under the Moon Jae-in administration. South Korea had provided some 500,000 doses of Tamiflu and 100,000 doses of Relenza antiviral drugs to North Korea in 2009. The United Nations Security Council recently granted sanctions exemptions for the Swiss Agency for Development and Cooperation and World Vision International, allowing them to provide a range of goods related to drinking water supplies and flood prevention.